Early discovery means 2012 could be a long season. A relative of the blue jay has test positive for the West Nile Virus in Pleasant Hill, according to the Contra Costa Mosquito and Vector Control District. The infected stellar jay marks the first West Nile virus-infected bird in the area this year. Last year a bird killed by the virus wasn't found in the district until June 29. "Mother Nature plays a significant role in virus risk," said Craig Downs, general manager for the District. 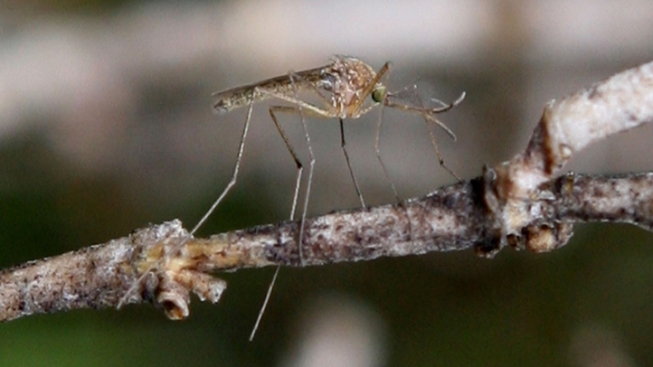 "The mild winter has created a thriving environment for mosquitoes. We all need to be diligent about dumping out water where mosquitoes can live, such as rain gutters on houses, neglected swimming pools, boat covers, toys, even flower pot saucers can hold enough water to allow mosquitoes to thrive." The early discovery means this year's West Nile Virus season could be longer than previous seasons. Residents are encouraged to report dead birds to local authorities to have them tested for the virus. The Contra Costa Mosquito and Vector Control District has a hotline for people to call and report and dead birds. The number is 1-877-968-2473. People can also file a report online at www.westnile.ca.gov.